Barbara Portailler engage sa pratique comme partie prenante du réel, pour participer au changement de nos réalités. Nombres de ses œuvres prennent place dans l’espace public, sous la forme de collages ou de performances, pour nous interpeller sur les questions de l’économie collaborative, solidaire ou circulaire. Barbara Portailler is dedicated to using art as a way to change our realities, engaging herself as a stakeholder. 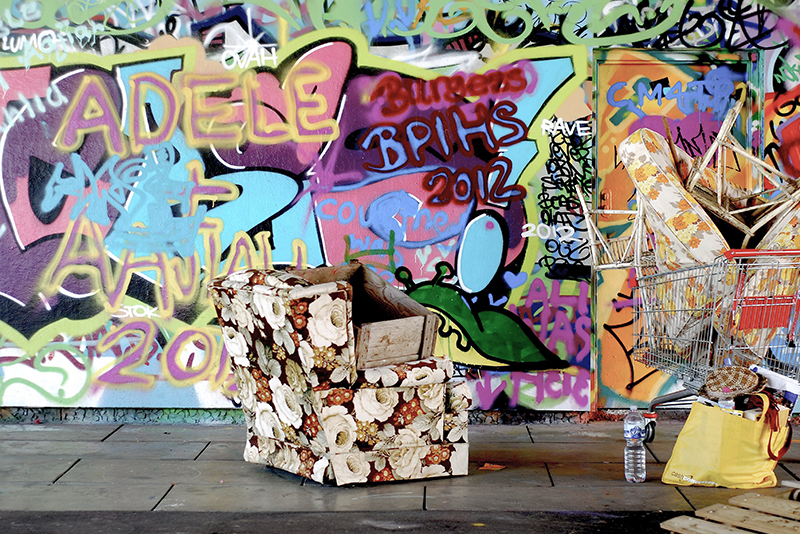 She creates her work in the public space, whether through street art or performances to shine a light on issues of collaborative economy, social enterprise and upcycling. 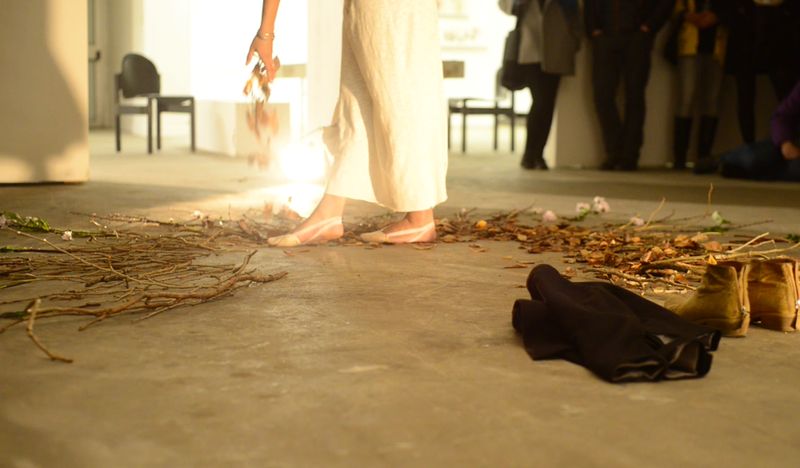 Faire Printemps is a 13’14 min video based on a performance, that must take place in the early days of spring. 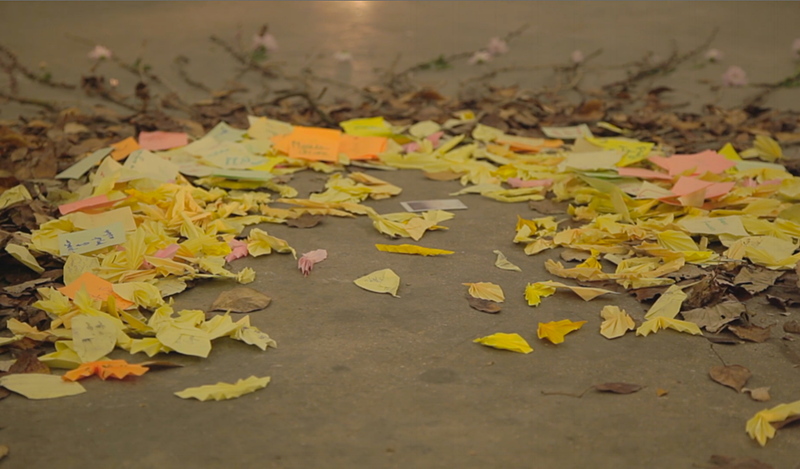 It is made of flowers, branches, dead leaves and used post-it, to compose circles in the image of the cycles of rebirth in the Nature. Gone with the time 2/4 is a video extracted from the performance of the same name and projected during the closing day of the performance with four other videos. The performance must be performed in winter and lasts a month, in order to take the time to fold the books in day light. The environment is composed of books, photos and videos, to compose a progressive flowering movement of books, like the cycles of rebirth of Nature. 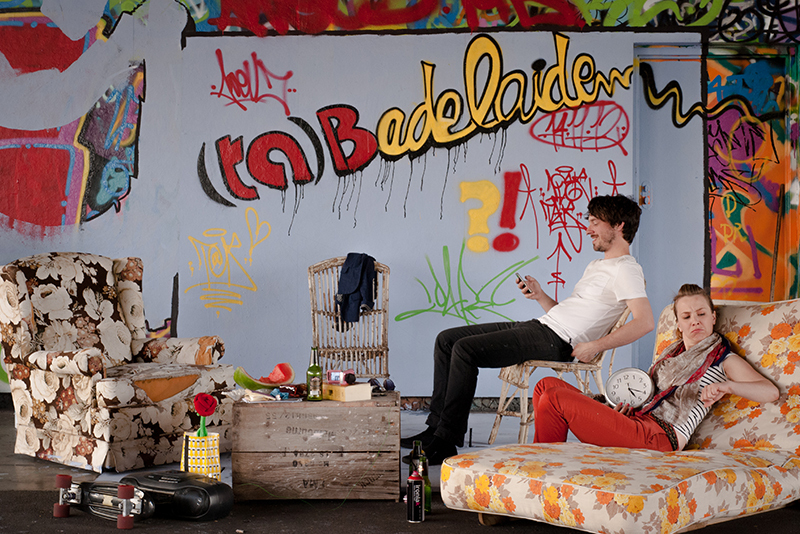 (ta)Badelaide is a one-day outdoor project, performed during a hard rubbish week in Adelaide, Australia, with furniture collected in the street. 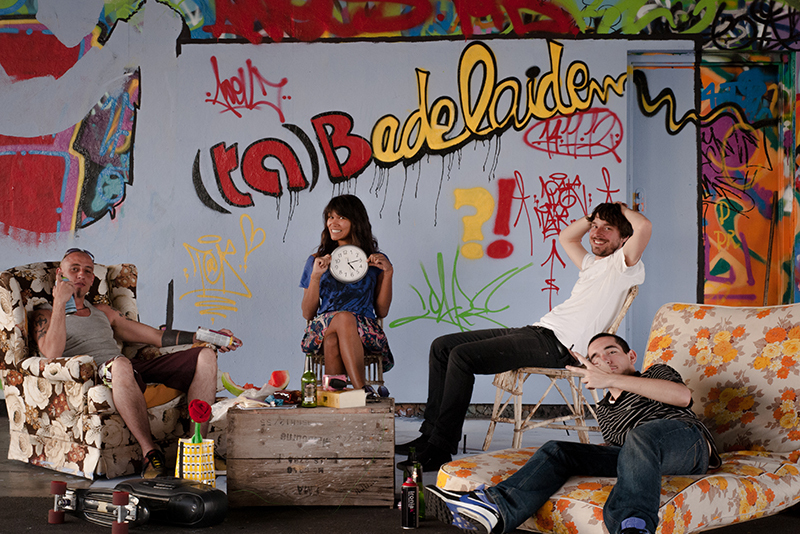 It consists in an outdoor living room, open for sharing experiences: painting collaboration, food & discussion. 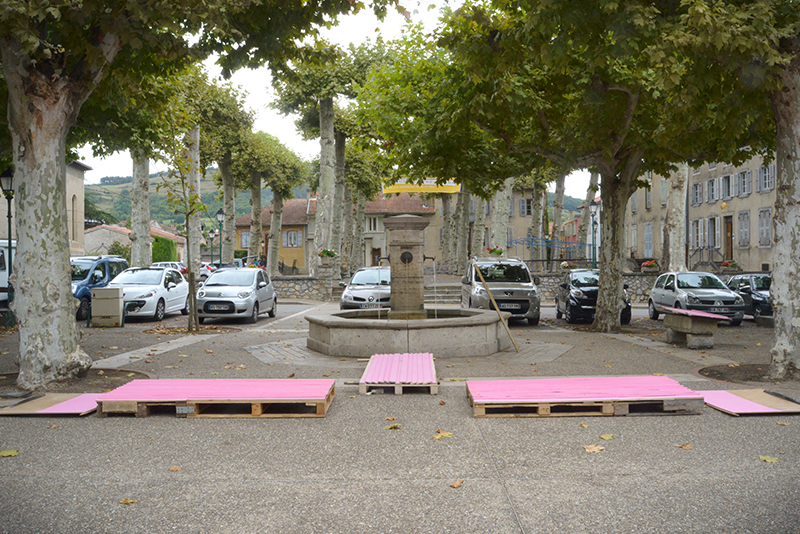 La vie en rose is a two-week outdoor project, performed in the little village of Mas d'Azil, France, where the issue of small or collective habitat causes controversy. I built a mobile installation, in the shape of a very little house, made of second hand pallets. It consists in an outdoor photo booth, open for self portrait and sharing experiences about feeling home and life in pink.